WITH COCONUT OIL, MACADAMIA OIL AND VITAMIN E This lightweight scrub contains fine sugar particles and powerful healing ingredients. 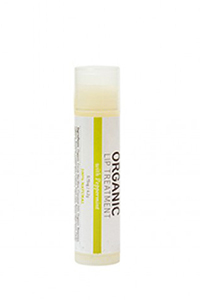 Organic sunflower oil rich in vitamins A and E maintains a high level of oleic acid in skin. 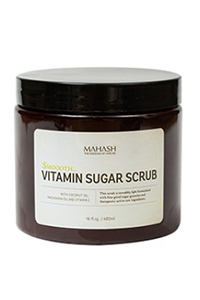 The scrub contains essential doses of lecithin and fatty acids. 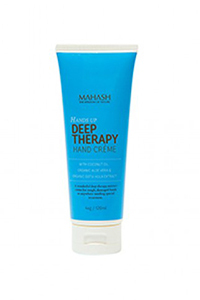 This is a nourishing and restoring product developed for dry, flaky, damaged and mature skin. Easy to apply, absorbs quickly. 1—2 times a week apply to skin with light circular motion while taking a shower, paying special attention to dry and coarse areas. Rinse thoroughly. 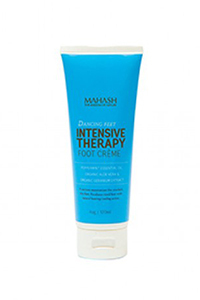 (100% plant-derived, 72% of organic origin) Sugar, Kosher Certified Vegetable Glycerin, Organic Sunflower Oil with high content of Oleic Acid, Coconut Oil, Methylsulfonylmethane, Silicon Dioxide, Kukui Nut Oil, Macadamia Oil, Tocopherol Acetate (Vitamin E).